Major Johnson was part of a group of engineers and pilots awarded the Robert J. Collier Trophy by the National Aeronautic Association in 1958 for “the greatest achievement in aeronautics” because of their involvement in the Lockheed F-104 program. 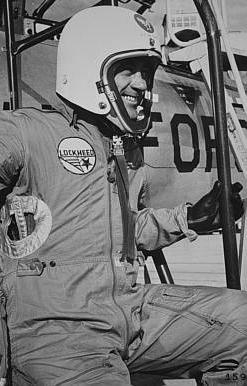 Using techniques developed by Lockheed aerodynamicists, Major Johnson climbed to 41,000 feet (12,497 meters) and accelerated to the Starfighter’s maximum speed in level flight. He then started to climb, maintaining a steady 2.5 G load, until he reached the optimum climb angle. A piece of masking tape applied to the side of the cockpit canopy at the predetermined angle gave Johnson a visual reference during his climb. At approximately 77,000 feet (23,470 meters) the F-104’s J79 turbojet engine had to be shut down to prevent overheating in the thin high-altitude atmosphere. The interceptor continued from that point on a ballistic trajectory until it reached the peak altitude. 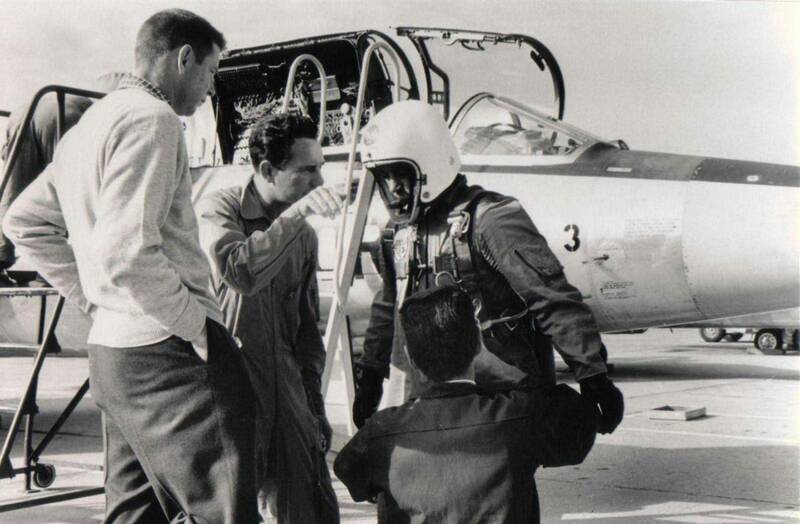 On the descent, the engine was restarted and Johnson flew the Starfighter back to Edwards Air Force Base. 55-2957 had been one of the first group of YF-104A pre-production aircraft. After the flight test program, it and the others were modified to the F-104A production standard. 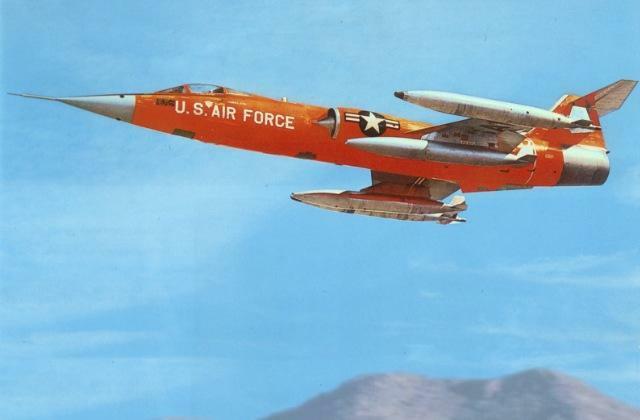 The record-setting Lockheed F-104A Starfighter was later converted to a QF-104A high-speed drone. It was shot down 8 August 1967. 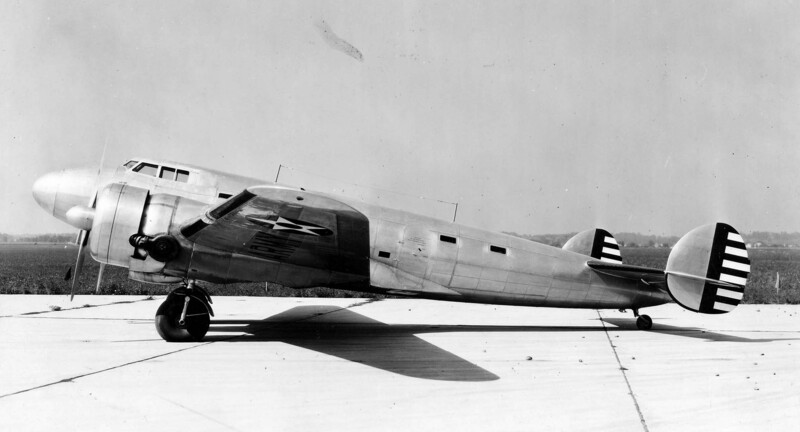 7 May 1937: First flight of the Lockheed XC-35, Air Corps serial number 36-353. 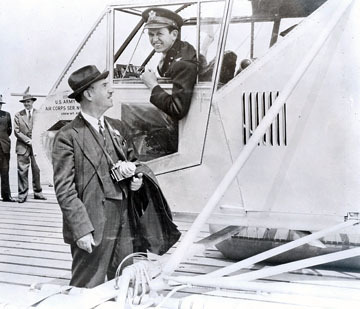 Ordered by the Air Corps in 1936 as a high-altitude research aircraft, and for the development of cabin pressurization, the XC-35 Supercharged Cabin Transport Airplane was a highly modified Lockheed Electra 10A. 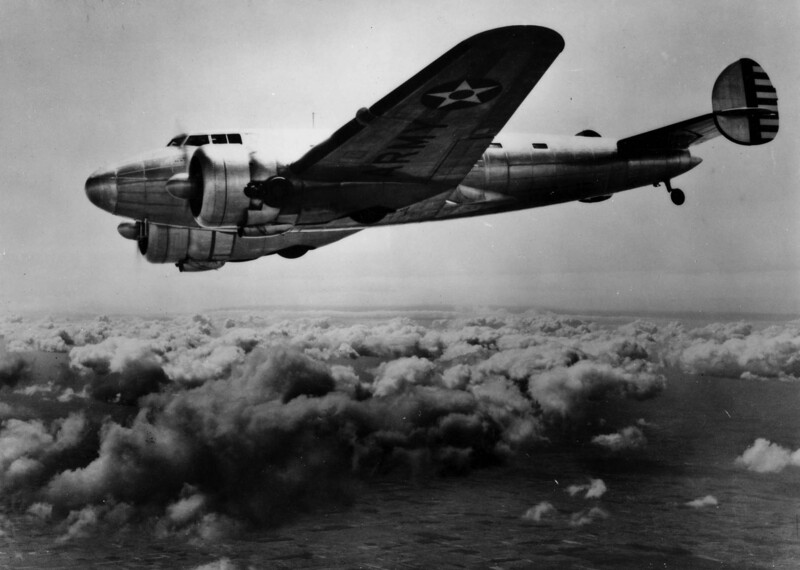 It was the first airplane to be specifically built with a pressurized cabin. 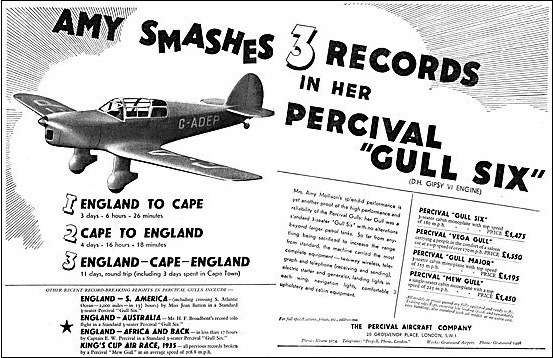 The Army Air Corps was awarded the Collier Trophy for 1937 for the XC-35 project. With a strengthened circular fuselage and smaller windows, the XC-35′s passenger compartment was pressurized by engine turbo-superchargers and controlled by a flight engineer. Cabin pressure could be maintained at the equivalent of 12,000 feet (3,658 meters) above sea level, at an actual altitude of 30,000 feet (9,144 meters). 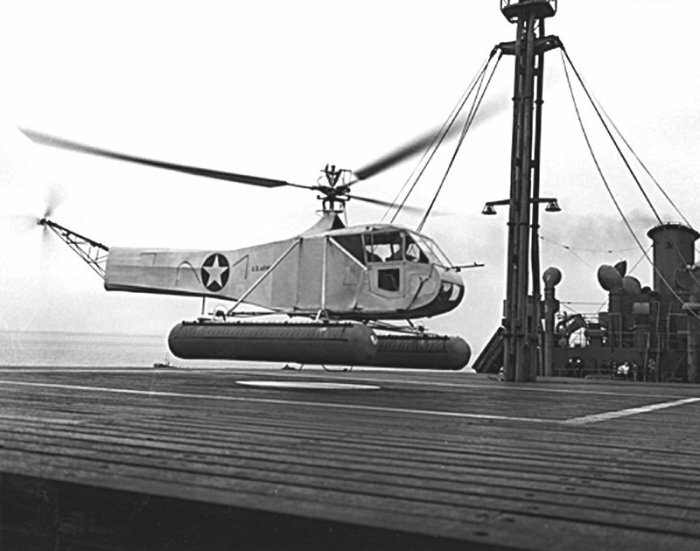 A crew of three and two passengers were accommodated within the pressurized section, and there was room for another passenger to the rear of the pressure bulkhead, which could only be used at lower altitudes. The Lockheed XC-35 was powered by two air-cooled, supercharged, 1,343.804-cubic-inch-displacement (22.021 liter) Pratt & Whitney R-1340-43 (Wasp T5H1) single-row, nine-cylinder radial engines with a compression ratio of 6:1. 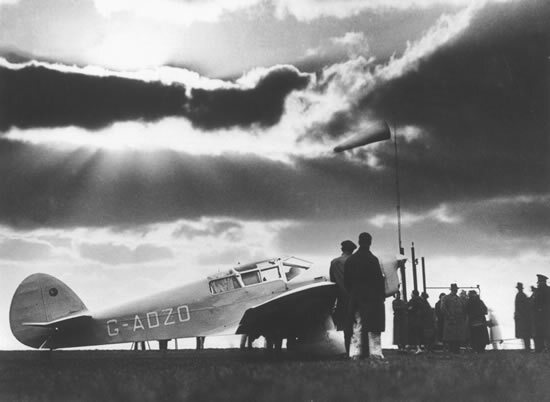 The R-1340-43 had a Normal and Takeoff Power rating of 550 horsepower at 2,200 r.p.m. from Sea Level to 3,000 feet (914 meters), burning 92-octane gasoline. It was direct drive. 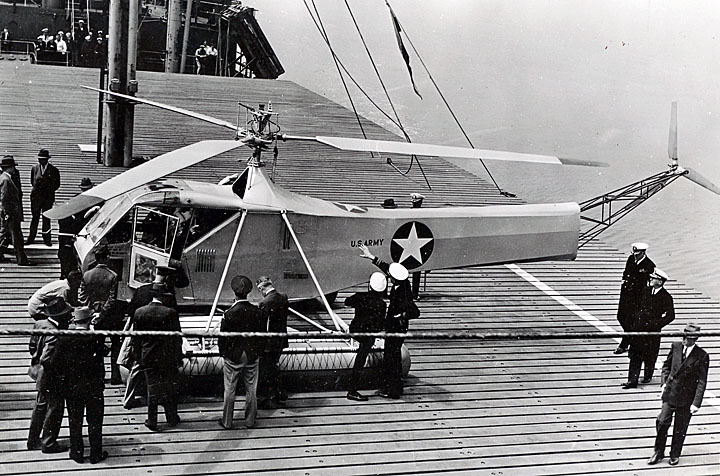 The engine was 3 feet, 6.25 inches (1.073 meters) long, 4 feet, 3.50 inches (1.308 meters) in diameter, and weighed 864 pounds (392 kilograms). Able to fly above 30,000 feet (9,144 meters), the XC-35 was later used by NACA for thunderstorm penetration research flights. 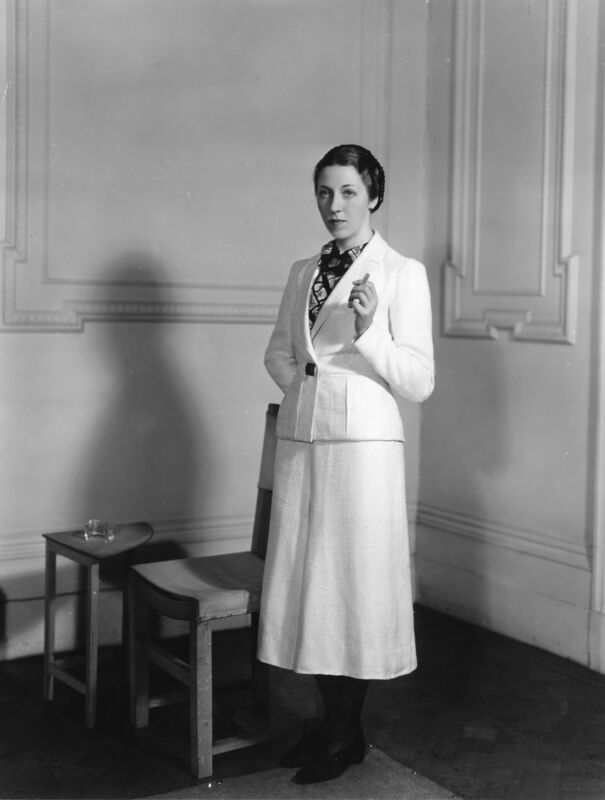 In 1948 it was transferred to the Smithsonian Institution.